During a chapel message to Huntington University students in early September, I presented five practical tips for modeling unity as believers within a diverse community. I discussed points one and two earlier. Here is the third one. Diversity truly is a gift from God. He created each of us in his image, and we all come with wonderful, unique skills and abilities. We celebrate diversity because God is a God of creative beauty and diversity. We see his love of diversity in the rich vastness of the animals and plants that He has created. We see his love of diversity in Heaven when all believers from every nation, tribe, people, and language will stand before the throne and worship the Lamb. Let’s not just tolerate diversity, whether in your neighborhood, church, workplace, or at Huntington University. Rather, celebrate it and enjoy it and appreciate it for its rich vastness and beauty. Because it reflects the diversity and creativity of God. Bishop Phil Whipple reports that his wife, Sandy, had her heart catheterization, and there is no blockage. Praise the Lord! There is an irregularity with her heartbeat which can be regulated with a change in medication. 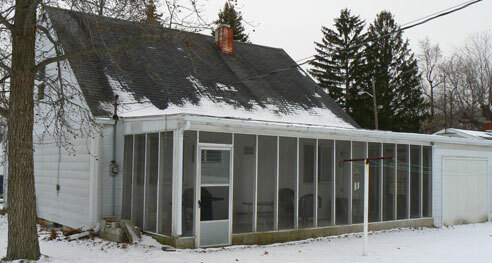 Global Ministries owns a small house in Huntington, Ind., where missionaries on furlough stay. It is used almost continuously. In the spring, we’d like some exterior work done on the home, particularly repairs to the back porch and some painting. Would you or your church be able to provide the labor? Contact Jeff Bleijerveld to make plans for a team to assist with this need. Bishop Phil Whipple and his wife, Sandy, were supposed to be on vacation this week. However, this afternoon Phil took Sandy to St. Joseph Hospital in Fort Wayne, Ind., where she is being checked out for heart symptoms. Sandy is scheduled for a heart catheterization. She and Bishop Phil would appreciate your prayers at this time. 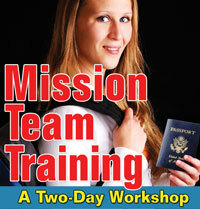 Global Ministries will sponsor another workshop for persons interested in leading short-term mission trips. We did four such events in 2008. This workshop is open for all persons who either will lead short-term trips in 2010 or who may be considering leading trips in the future. Participants will receive a lot of material helpful in putting together the trip, team development, dealing with cultural differences, and much more. 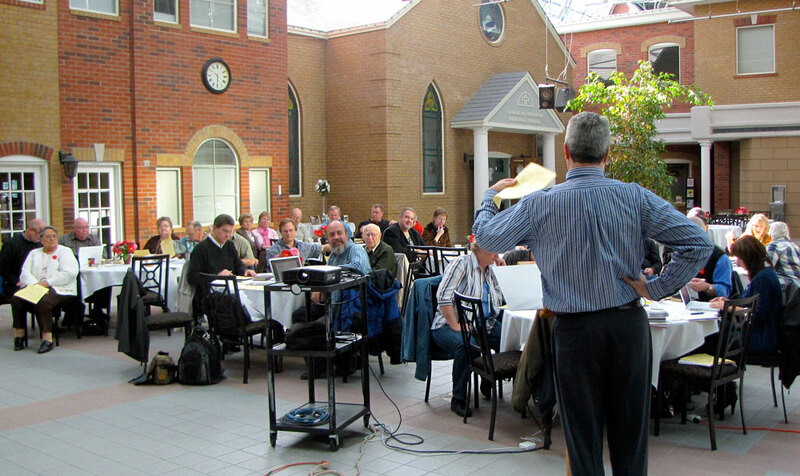 If your church is considering short-term mission ministry, this is a “must” event. Jeff Bleijerveld and Donna Hollopeter will be team teaching. More information will be coming to local churches. The Global Ministries website gives the schedule, and you can download a brochure about the event. You can register and pay online. During a chapel message to Huntington University students in early September, I presented five practical tips for modeling unity as believers within a diverse community. I discussed the first one earlier. Here is the second one. 2. Recognize and confess sins of prejudice, and ask God to forgive and renew your heart and mind. Prejudice means literally “pre-judging.” You judge someone in advance based on some characteristics–being Jewish, white, black, an athlete, a musician. I grew up in a Jewish community. Being part of a culture which was not my own, I often felt some resentment toward the Jewish community and I developed caricatures and stereotypes of Jewish people which, unfortunately, were then reinforced by my family and other Gentile friends. This resulted in prejudice against the Jewish people as a whole (although I had a lot of Jewish friends) that was wrong and inappropriate. It was sin. I would ask each of you to examine yourself to see where you have been insensitive and prejudiced toward another person. Once the Holy Spirit convicts you of that sin, I would encourage you to confess it and ask for forgiveness. All of us can work harder to treat others with respect, dignity, love, and compassion. On Sunday, November 22, Bishop Phil Whipple returned to Colwood UB (Caro, Mich.), the church he pastored for 11 years before being elected bishop in June 2009. The visit was a surprise to the congregation, but senior pastor Jonathan Herron was well aware of it. The occasion: to present a National Conference ministerial license to Jonathan Herron. Bishop Whipple presented the license during all three morning worship services. Two churches have have chosen to withdraw from the denomination. Reash UB (Cochranton, Pa.) withdrew effective October 31, 2009. They had an average attendance of 30 in 2008. Montgomery UB (Montgomery, Mich.) withdrew effective June 7, 2009. They merged with New Testament Ministries, Inc. to form The New Beginnings Church, Inc. Montgomery had an average attendance of 58 in 2008. Commenting on the desire for churches to be relevant in our society today, Bishop Magnus went on to say that some churches have sought acceptance and have lost their relevance. Still others have put all their energies into “doing church”–making relevance itself irrelevant. By celebrating the extraordinary nature of the the body of Christ–including our diversity both within and outside the church and partnering with our communities. By recovering our prophetic voice and presence and culture–getting out of our churches and into the lives of our friends and neighbors. By making obedience to the clear commands of God our priority. Matthew 5:13: “If salt loses its saltiness…it is no longer good for anything.” Non-christians don’t want us to be just like them. They expect something better. We arrived back form Africa and after one week in Honduras traveled to San Jose, Costa Rica where Roger has been helping lead a One Story workshop for 7 different language groups. I have been one of the facilitators. It is being held at the Youth with a Mission base. Two days ago (on his 61st birthday) Roger fell on his knee. Yesterday, November 19, a doctor determined that he had a quadriceps tendon rupture. Last night he was taken in to surgery and the tendon was reattached. He is in a complete leg cast and in considerable pain. He will need to stay in the cast for 6 weeks. When he leaves the hospital, we will need to decide how to get him home to Honduras. Our return date was to be a week from now, but we might possibly leave earlier. We praise the Lord that this happened in a country with such excellent medical care. We are in the Clinica Biblica hospital, a large and modern hospital.